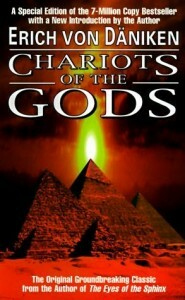 what is chariots of the gods about? There have been many books written about aliens and there biblical relations. Do we believe the fact that aliens have visited us many times since the dawn of time? Could it be that God was really an alien being that we just never knew how to interpret? 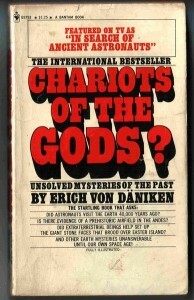 These questions were all brought into light with the very controversial book written by Erich Von Daniken. 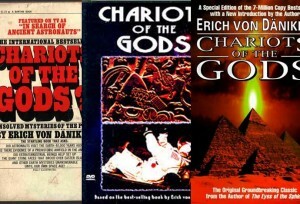 This book, Chariot of the Gods, has been widely read and been the topic of many debates. Was God and the aliens the same thing? Were angels and there flying chariots just aliens in flying saucers? How will we ever know which is the truth and which is just a myth? Erich Von Daniken is a very famous researcher and author of aliens and ancient findings. He has written one of the most controversial books and spent his life trying to prove that aliens have visited our planet. He has even went as far as to say that aliens created us and put us where we are today by influencing our culture. This was done with many visitations to our ancestors and abductions to show us the way we should live. Are aliens the reason that we evolved into the people that we are today? Erich Von Daniken brought into light many different artifacts and writings that lead us to believe that there are extraterrestrials out in space. He believes that monoliths are a huge sign that aliens visited us and brought their technology to us. It would be nearly impossible for our culture of that time to make things such as Pumapunku or Stone Hinge. The rocks themselves are over one hundred tons. These rocks also traveled over a hundred miles to be placed where they are. How would they have gotten them from one point to another? How did we know how to do that then when we can’t figure out how to do it now? Our civilization has grown in intelligence and the questions still remain the same. How did we do it? The Arc of the Covenant is one of our Bibles main mysteries. This is also the lead reason that Erich Von Daniken believes that aliens and God is the same. The Bible is so full of mystery that is never answered. The answers are believed to be in the Arc of the Covenant. This item has been lost for many years and may be the answer to everything. Was it lost on purpose? Are we searching for answers that just do not exist? 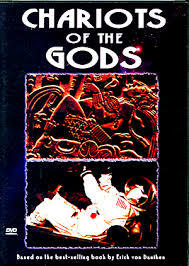 Chariots of the Gods are by far the widest spread controversial book about aliens and God. When this book was written scientists said it was pseudoscience and nothing more. There were even retaliation books against Erich Von Daniken’s book. He has never wavered from his opinions though. He also brings up the point that much of his book is theories and unanswered questions. He points out that there are over two hundred question marks in that one book. Two huge planets found orbiting a star 375 light-years away are the oldest alien worlds yet discovered, scientists say. With an estimated age of 12.8 billion years, the host star—and thus the planets—most likely formed at the dawn of the universe, . mayan calender 12-21-2012 You have probably heard about the famous Mayan Long Calendar that is set to end its final baktun (cycle) on December 21st, 2012. This end has caused many to sit up and take notice because they are uncertain .